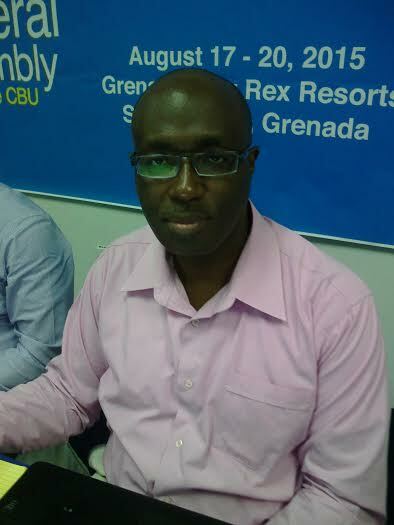 Gary Allen, Vice President of the Caribbean Broadcasting Union, has called for the immediate stop of illegal broadcast via cable services in the region, as most of that content is not designed for the Caribbean, and there is no agreement with the rights owners and holders for the content to be publicly displayed and performed in the region. Addressing the post news conference following the 46th Assembly of the Caribbean Broadcasting Union, held in Grenada on Thursday, Allen from RJR in Jamaica said that there are some cable providers who are doing the right thing by engaging the rights holders and seeking the necessary approval, but most of the providers of cable services do not have legal agreements or permission to make these content public. “They are practically ignoring the law in each territory about copyright, and I see no reason for them to steal on a phase basis, because what they are doing is against the law and it should be treated as such — it’s illegal and should not and cannot be justified,” he told reporters. He further called on policymakers in the region to understand the wider implication the action that pirates can have on the region. “The ongoing piracy of content of all kinds in the region, has now resulted in the USA not granting certain trade concessions, and this is turning into a serious trade issue that cannot only affect each state, but consumers can be drafted in when a legal action is taken. Consumers are purchasing products that are stolen, and in some territories action is not only taken on the person who stole, but the person who received the stolen property,” he said. Sonia Gill, Secretary General of the CBU, said that “the action of a few is affecting many,” and wants policymakers in the region to take a firm stand on those who are violating copyright and other intellectual property rights laws, as well as international conventions signed by regional countries. Allen disclosed that in Jamaica, 98 of the more than 200 channels that are available to consumers, are illegal; while in Trinidad it was disclosed that 16 of the channels are known to be illegal. Some of these channels include Fox, ABC News, CBS, and TLC. Addressing a forum on the matter of piracy, Malcolm Spence of the Caricom Office of Trade Negotiations, said that the time has come to find solutions. He called for broadcast and telecommunications regulators to assist in solving the problem, which is now plaguing the region. “The theft of signals are quite complex, even if there is some content that is licensed, because permission needs to be sought from all rights holders to the content,” he said, while explaining that licence can be given to production, but the music of the same production may involve another licensing agreement. Spence said that fair notice has been given to a number of broadcast authorities. “The screws are beginning to tighten on those who are not doing it legally… this problem needs to be solved very urgently,” he said, while explaining that USA stakeholders of Intellectual Property Rights are not satisfied that enough is being done with regards to the protection of intellectual property rights, especially in the areas of music and cable service. Michael Lewis, Regional Intellectual Property Rights Attached for Mexico, Central America and the Caribbean from the United States Patent and Trademark Office, explained that there is a lack of political will when it comes to making the tough decision that needs to be made in relation to the protection of USA stakeholder intellectual property rights in the region. Lewis called on the participants at the session to acquaint themselves the special 301 report that is done at his office annually. That report focuses on the treatment of USA intellectual Property Rights through the world, and over the years the Caribbean has become a growing concern to that office. Calling for tough action on pirates of content, Lewis used the opportunity to express satisfaction with those broadcasters who are playing by rules. “It’s extremely important that there is a level playing field, and if a provider has exclusivity, that should be respected in the marketplace,” he said.